If you’re looking to water the garden whilst your away to ensure your plants stay healthy, or simply want to automate your gardens watering to save time, then an automatic water timer attached to your irrigation system is one of the easiest solutions available. Water timer units attach to your tap faucet and allow you to set specific times and days where they will open by themselves, for a specific time frame, and then shut off the water again, in order to regularly water the garden. They can be attached to a standard garden hose and a sprinkler, to a soaker hose system, or to a drip irrigation system, whatever irrigation setup you’re currently using in the garden. Water timers come in two main types, mechanical and digital. Mechanical water timers are generally cheaper as they don’t use batteries nor do they come with some more advanced features that a digital timer might have (such as rain detection features). They can also be slightly restrictive in terms of how often they will turn on and/or off, the number of times they can do that per day, or the specific days. However, depending on what you want to achieve, they could be more than suitable and you’re not going to have to worry about changing batteries. Digital water timers are usually the more expensive option as they contain more features. Many come with rain detection features that will skip your programming if it starts raining (so your irrigation system doesn’t come on when it’s raining, even if it’s set to). Most also allow you to set the water to turn on and off automatically, at different time periods throughout the day, multiple times per day if you like, and the specific days you would like them to come on. So if you’re looking for a lot more flexibility, a digital water timer is what you’ll want. 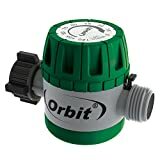 The Orbit 62034 Mechanical Watering Timer is a low cost but popular mechanical water timer that allows you to set watering times between 15 to 120 minutes depending on how long you want to run the water for. It is made from a durable plastic with an oversize timer dial on the top for easy setting and requires no batteries. It also has an override setting that allows you to water for as long as you want – essentially bypassing the timer entirely, without having to remove it from your water faucet. This is a very basic water timer that works much like a mechanical egg timer. You set the duration you would like the water to run for on the dial, and after it has counted down the time span you’ve set (in minutes), it will automatically shut off the water flow. 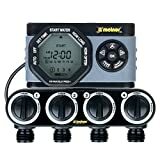 The Melnor 3015 Digital Water Timer is a nice low cost digital water timer that comes with more advanced features, options and flexibility than basic mechanical water timers. It runs on two AA batteries (not included) which will generally last an entire year before they need changing. It can be set to come on and shut off automatically up to 6 different times each day. It comes with a large easy to program LCD screen which shows you exactly what you have programmed, and it will retain your automatic watering program even after changing the batteries. 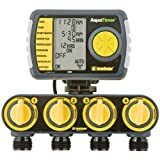 You can also purchase the water timer with a double hose or 4 hose attachment, allowing you to split the water flow between two or more hoses whereby each one can be programmed independently of the other which is a really nice feature. You can also override the timer entirely to use your hose as normal, without having to remove the timer unit from your faucet. 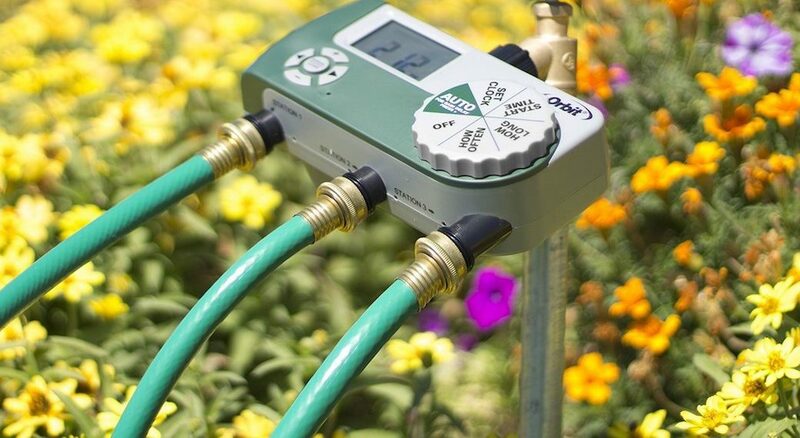 The Orbit 3-Outlet Digital Watering Timer comes with 3 separate watering values for hose attachments, two of those are automatic / programmable and the third is a manual valve. Programming the timer is relatively easy. The large dial has 6 different settings, set the clock, start time for watering, how long to water (minutes), how often (days), when to turn off, and automatic. Watering duration for this timer can be set anywhere from 1 – 240 minutes and can be scheduled to come on every 6 or 12 hours, and every 1 to 7 days as required. It also has a manual rain delay setting, so if rain is forecast for the next few days, you can time this to override the other programming for a specific number of days, so the automatic watering doesn’t come on during that time period. The Raindrip Analog 3-Dial Water Timer is actually a digital timer that requires 2 AA batteries but does not have an LCD display. The batteries should last a year and there is a low battery indicator light and a fail safe to turn the timer off when the battery level becomes low. 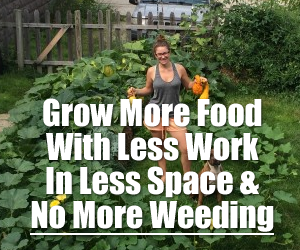 Flexible programming allows you to set how often and how long to water different areas. Each zone is programmed independently and can water up to 24 times per day, with the option to water on individual days or scheduled intervals. 2-Piece 4 Zone electronic programmable hose timer. Easily detach the large LCD screen from the valve - no need to lower yourself to faucet level to reschedule this irrigation controller. Just unplug the connection cord and you can set up the timer anywhere you want! Rain delay - if there's rain in the forecast, the rain delay mode will stop all watering for up to 7 days. The watering program will begin running automatically after the delay period. Low Battery consumption. A new set of batteries lasts up to 6 months. The water program remains when batteries are changed or between seasons. Two x AA alkaline batteries are required (not included). Melnor stands behind its products.We value your experience with us. The Melnor 4-Outlet Digital Water Timer contains 4 separate watering ports that can each be independently programmed. Each can be programmed to water up to 24 times per day, and to water on individual days, or scheduled intervals (useful should you wish to skip a day). The large LCD screen can be detached from the valve so you can program it when it’s not actually attached to the faucet.